The Durst Organization's buildings near Bryant Park. 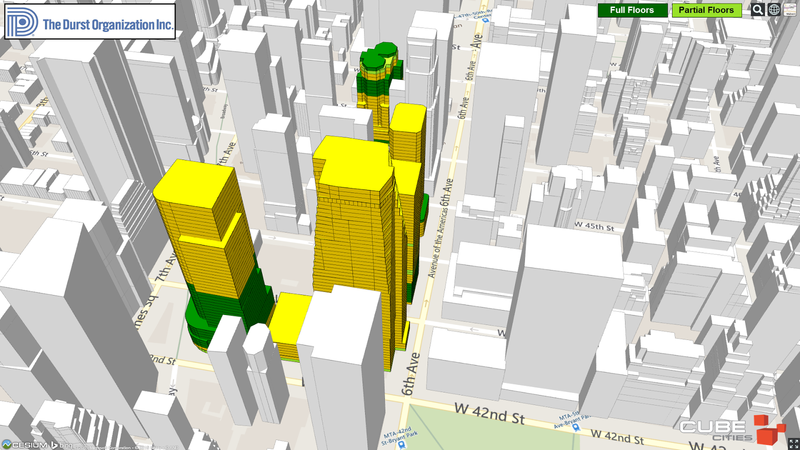 Here's a look at new Cube Cities imagery of the available office space in The Durst Organization's New York portfolio. 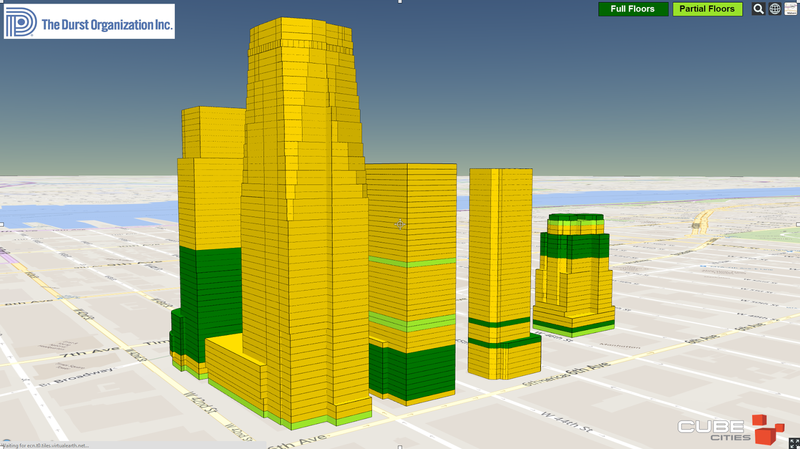 Taken from our new Cesium-based mapping application, this visual shows every floor in each building and lights up the available space in each property. 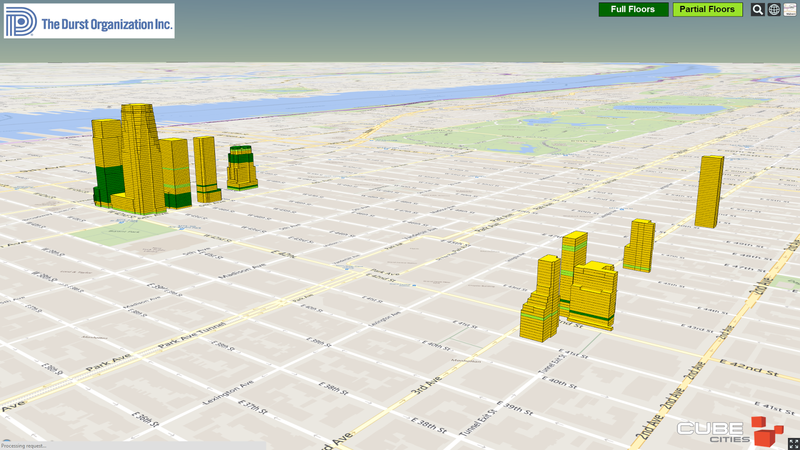 Cube Cities can quickly produce interactive visualizations for any landlord or property owner in New York. Renting an office space could be such a chore to deal with if the district that you are looking at is a popular commercial hotspot. Hence, to be able to view the affected areas from a wide perspective before making any visits is definitely desirable to save time and effort on your office space hunt.